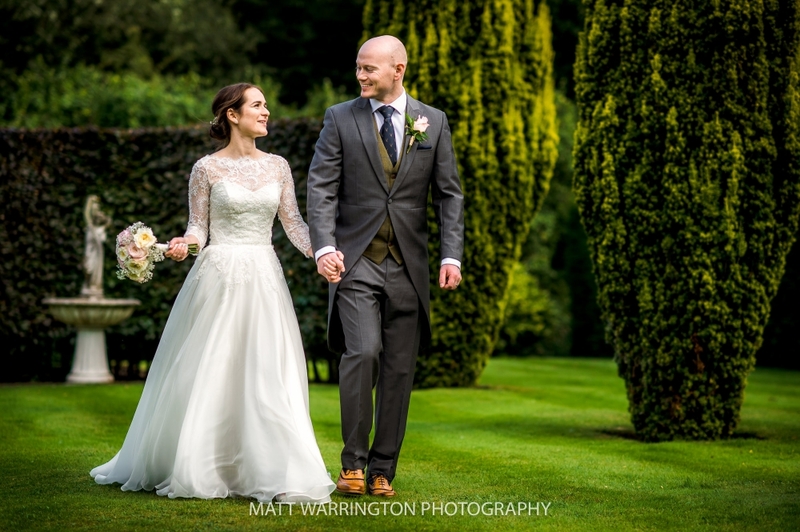 I was absolutely delighted to be Penny & Michael’s Holford Estate Wedding Photographer. 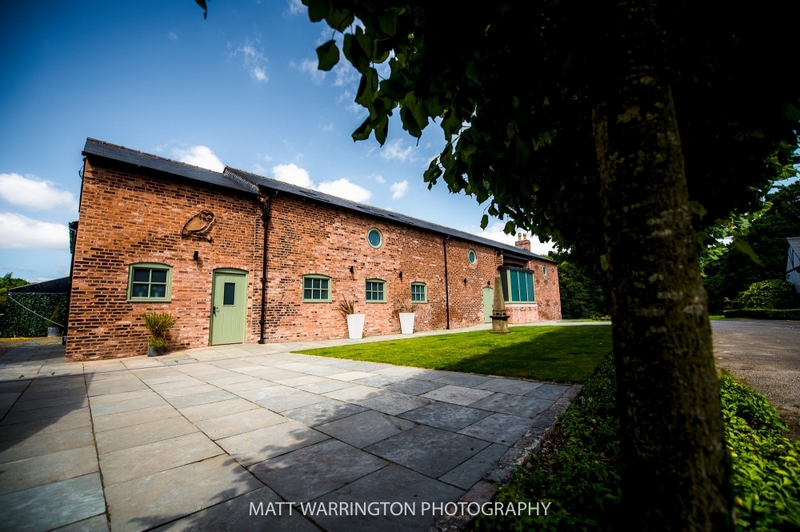 I was lucky enough to be one of the first Wedding Photographers to shoot at Cheshire’s newest wedding venue. It certainly lived up to expectations. 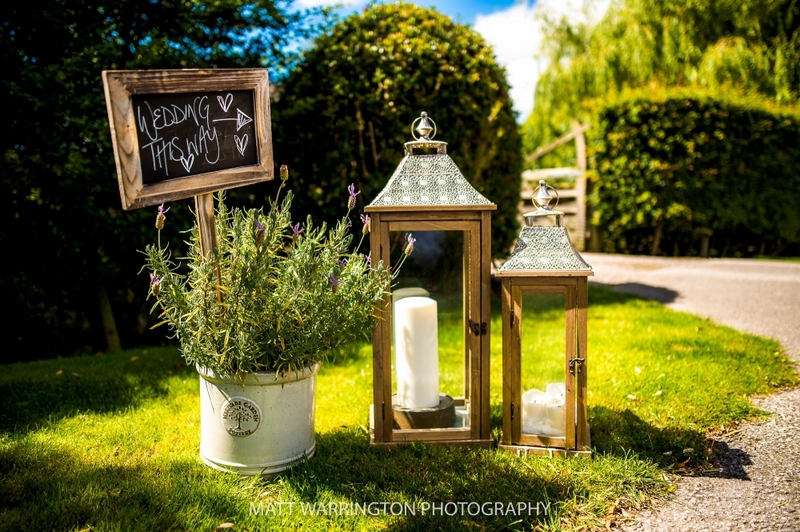 The Holford estate is a fantastic new wedding venue set in the beautiful Cheshire country side. Penny got ready in a dedicated bridal prep room in the recently converted barn. This was the perfect place to get ready and it allowed me to nip downstairs to get shots of Michael and his groomsmen before the ceremony began. The ceremony took place in the barn itself which is a grand room with Penny and her Dad entering via the beautiful staircase at the bottom of the aisle. Following a lovely service Penny & Michael headed straight to the stunning gardens for drinks and canapés. The weather was perfect on this August afternoon which gave us some amazing blue skies and allowed us to stay outside for the majority of the day. With it being August I decided to take Penny & Michael for their pictures after the meal. This allowed them to spend as much time with their guests as possible, nipping away quickly while nobody noticed. I shoot all my images in an un-obtrusive natural way. No awkward posing or looking at the camera here, just real moments to treasure forever. I had such a brilliant time photographing Penny & Michaels day. It really did have everything and I can’t wait to return to the Holford estate in the near future. Here are just a small selection of my favourite images from the day. Massive congrats to Penny & Michael on getting married and thank you for choosing me to photograph your wedding. If you are interested in a Holford Estate Wedding Photographer who shoots in an unobtrusive natural way then get in touch to discuss your day.